A system-wide recycling program was implemented in 2009-2010 and proved to be successful right from the start. An average of 115 tons of recycled material is collected and processed annualy from our schools to become new products such as newspaper, shipping boxes, carpeting, furniture and automobiles. Students, faculty & staff can now place any and all unwanted clothing. shoes, bedding, belts, backpacks...even stuffed animals...in special Textile Recycling bins located at each High School. Homework is meant to reinforce the lessons taught at school. You already encourage your students to do their homework, so keep the lessons going! Show students that recycling is important by encouraging them to recycle at home. 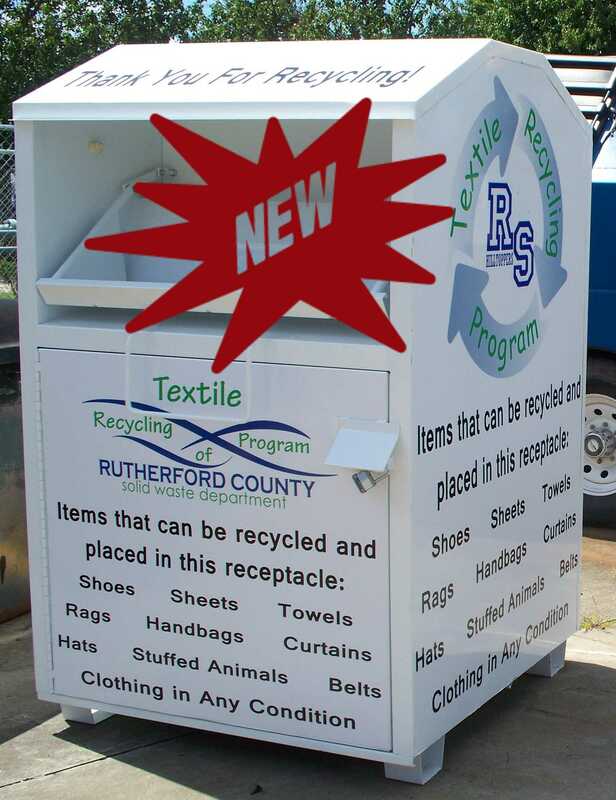 If they don't have a recycling program at home, visit http://rutherfordcountync.govspan> to find out how to get started! RCS administrators, staff and students are working together to conserve natural resources and manage our solid waste. With nearly 9,000 students and 1,000 employees, RCS can generate as much trash and recyclable material as a mid-sized town. By recycling plastic bottles, mixed paper, cardboard, aluminum and steel cans, RCS is diverting tens of thousands of pounds of material from landfills each year, reducing trash disposal costs while teaching students to be good stewards of the earth's natural resources. Teaching life lessons to encourage the growth of responsible citizens. 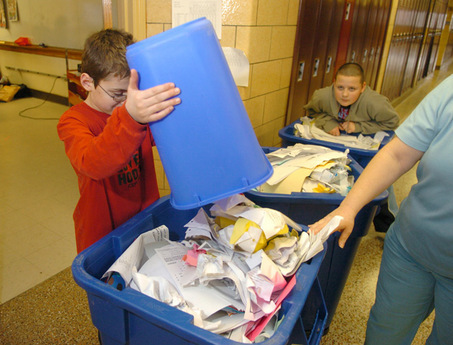 Many of our recycling programs are run primarily by a class or environmental club. These in-school recycling programs empower students to practice the principles they learn in the classroom. Students are able to test their knowledge and skills while actively taking part in managing their resources and waste. Students are challenged as they realize that communication is a must for effective recycling programs. 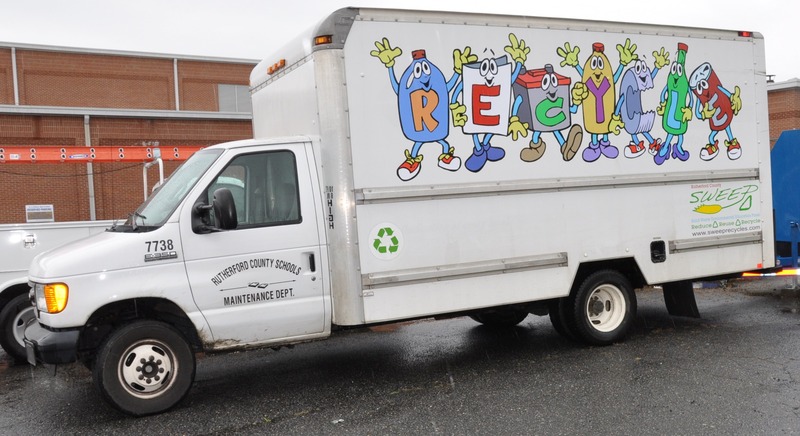 By beginning a child's recycling education early, RCS is ensuring a future generation of responsible citizens. 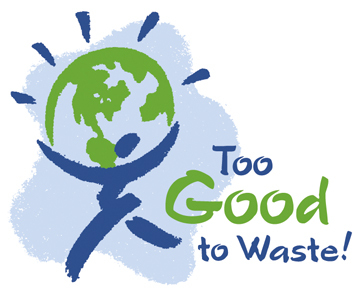 We recognize that it is the responsibility of each Rutherford County citizen to conserve resources by reducing, reusing and recycling, no matter what age. As our community strives to recycle more and throw away less, it is incumbent on RCS to practice what we teach by providing a means for our students and staff to recycle at school. There are a finite number of resources on our planet which means we can't just use our materials once. Instead of pretending there is an endless supply of resources, RCS recognizes the importance of recycling to create a more sustainable future. The cost of hauling and disposing school waste cuts directly into the educational budget. 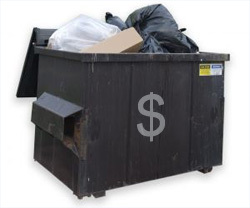 By diverting material from ending up in the dumpster, the trash bills are kept to a minimum, leaving more money for RCS to spend on educational tools for our students.